These general purpose reduced base studs are used in all types of applications. They can be welded to a flat surface or to the inside or outside of an angle. Length is approximately 1/8″ shorter after welding. It is made of low carbon steel, ASTM A108 / A29, 1010-1020. Tru-Weld reduced base studs can be manufactured in any length above the standard minimum length of 5/8″. 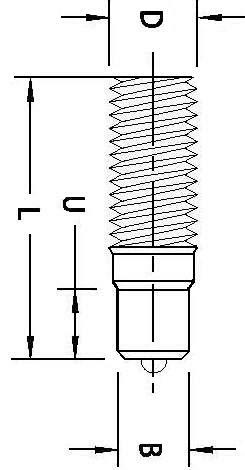 Type F-Low Profile ferrules are supplied.